In Pens > Inkwells > Show & Tell. Every so often I look for interesting antique inkwells (and such) for my desk. 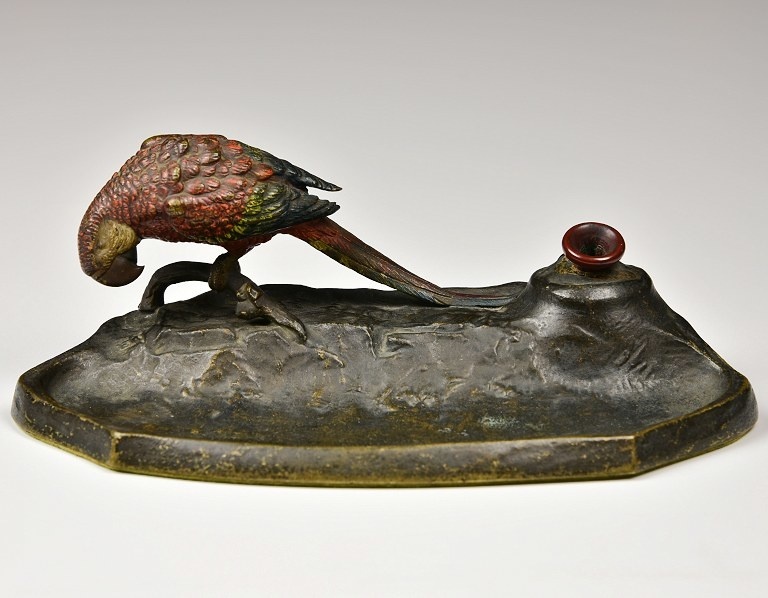 What attracted me to this was the finely detailed, red cold painted parrot on a sculptural bronze pen tray with ink well; a really pretty piece that adds a small splash of color when displayed with my wooden cameras. 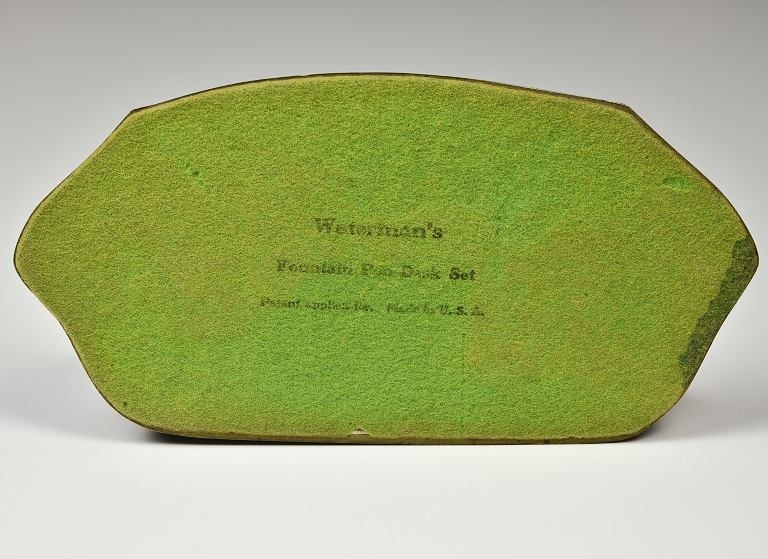 The original felt pad marked “Waterman’s Fountain Pen Desk Set, Patent applied for. Made in U.S.A.” is still intact. 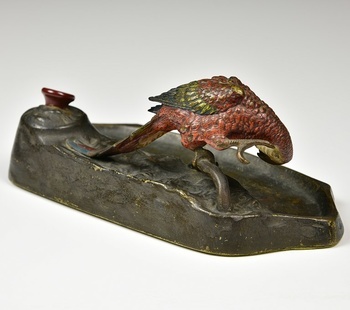 I’m now looking for the ‘correct’ vintage pen and bronze blotter with parrot handle that would have been included with the set. Such a nice piece! The posture of the parrot is perfect - inquisitive and amusing. I think this would be a delight to have on your desk to brighten the day. Thanks, racer4four! And great observation about the parrot. I was getting bored when this popped up...Now I am jealous.